Ready to be a kid again this winter? 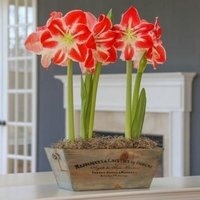 Watch amaryllis bulbs push up their sturdy stems so fast you can almost see the growth with your naked eye. 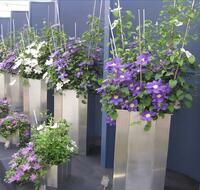 Then enjoy the trumpet-shaped blooms on each stem. This coming week on #plantchat, find out the best amaryllis bulb varieties, and the best ways to grow them (and get them to rebloom the next year). The American Horticultural Society , Longfield Gardens, and Corona Tools will be sharing their knowledge of Amaryllis: The Winter Showstopper Bulb with you. Prizes awarded during this #plantchat will be a Longfield Gardens amaryllis gift kit, and a one-year membership from the American Horticultural Society. Join @CoronaTools and #plantchat co-partner, American Horticultural Society, Digital Communications Manager, Charlotte Germane, tweeting as @AHS_Gardening,Communications Manager & Associate Editor, Viveka Neveln, tweeting as @VivNevAHS, and special guest Marlene Thompson of Longfield Gardens tweeting as @LFGardens on the topic of Amaryllis: The Winter Showstopper Bulb. The live chat begins Monday, November 16, 2015 at 11 a.m. PT / 2 p.m. ET, where we come together with green industry experts and fellow horticultural tweeps each week to discuss all things related to plants and horticulture, since 2014. How to plant amaryllis – Pros and cons of growing the bulbs in soil or water. Which amaryllis bloom first – It’s the source of the bulb, not when you plant them. 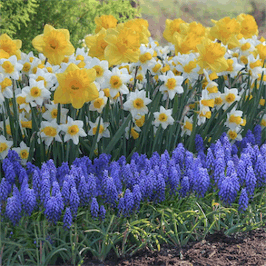 Bulb size relates to number of blooms – How many blooming stems do you want? New varieties of amaryllis – When you want more than just solid red, there are many options. Reblooming year to year – Tricks of the trade to give your amaryllis such a good summer it will rebloom the following winter. Amaryllis versus hippeastrum – Find out what to call these fabulous flowering bulbs. Did you know there are fall-blooming crocuses? 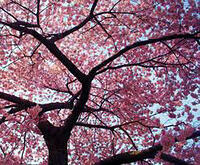 Two major kinds are readily available and easy to grow in your garden. One is edible and one is poisonous, so you need to know which is which! Don't miss this informative #plantchat to learn about growing these impressive fall flowers. The American Horticultural Society and Corona Tools will be sharing their knowledge of Fall Crocuses with you. 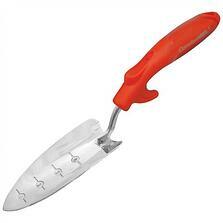 Prizes awarded during this #plantchat will be a bulb-planting trowel from Corona Tools, and a one-year membership from the American Horticultural Society. Join @CoronaTools and #plantchat co-partner, American Horticultural Society , Digital Communications Manager, Charlotte Germane, tweeting as @AHS_Gardening and Communications Manager & Associate Editor, Viveka Neveln, tweeting as @VivNevAHS , on the topic of Fall Crocuses. The live chat begins Monday, September 14, 2015 at 11 a.m. PT / 2 p.m. ET, where we come together with green industry experts and fellow horticultural tweeps each week to discuss all things related to plants and horticulture, since 2014. 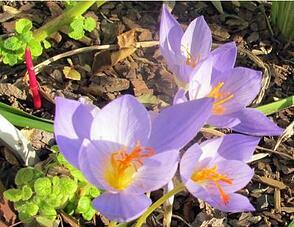 Some crocuses bloom in the fall – If you enjoy crocuses in early spring you can host their cousins in the fall too. Choose the right spot for your crocuses – Get tips on garden location, planting, irrigation, and culture for fall crocuses. Some autumn crocuses are poisonous – Learn which fall-blooming crocuses are poisonous to dogs and cats (and humans). Some fall crocuses are edible – Find out which crocus is not only edible but a “gold mine” of an expensive seasoning. Harvesting tips – Make the most of your crocus harvest with tips on the best time of day to gather, and how to store the harvest. Do you have insect pests in your garden, munching on your favorite veggies and flowers? Come learn how to bring in “good bugs” that will get rid of those “bad bugs”. 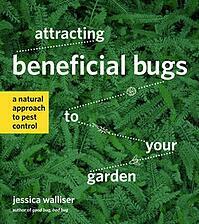 The American Horticultural Society and Corona Tools are pleased to welcome their guest, Jessica Walliser, author of “Attracting Beneficial Bugs to Your Garden”. Jessica’s book won a 2015 AHS Book Award this spring. Jessica Walliser co-hosts “The Organic Gardeners” on KDKA-Radio in Pittsburgh, PA. She is a former contributing editor for Organic Gardening magazine and the author of four books. We are delighted to have her join #plantchat for the first time. 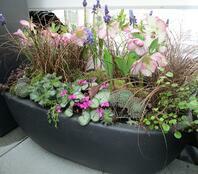 We will be sharing tips on attracting beneficial insects to the garden. Join @CoronaTools and #plantchat co-partner, American Horticultural Society, Digital Communications Manager, Charlotte Germane, tweeting as @AHS_Gardening. Special guest, garden writer, Jessica Walliser, leads the topic, Attracting the Good Bugs to Your Garden, and tweeting as @jessicawalliser. The live chat begins Monday, August 24, 2015 at 11 a.m. PT / 2 p.m. ET, where we come together with green industry experts and fellow horticultural tweeps each week to discuss all things related to plants and horticulture, since 2014. Two kinds of beneficial bugs - The pollinators, who help pollinate our plants, and the predators/parasitoids, who help us by controlling garden pest populations. Three ways to encourage beneficial predatory bugs - Tips to make your garden a haven for the hunters of bad bugs. How many bad bugs are there? – Learn the surprising statistic on how few “bad” bugs there are. ID the good bugs – How to recognize the good guys. Plants that feed the good bugs – Plant combos that will attract the good bugs to your garden, and keep them and their descendants there. The American Horticultural Society and Corona Tools are proud to have famed garden author Margaret Roach as their guest once again on #Plantchat. Starting seeds is an enticing and cost-effective way to expand your garden, but that particular garden path can be lined with lanky, drooping seedlings. 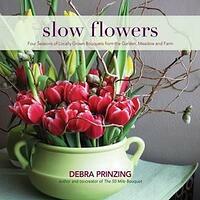 Learn how to grow robust seedlings that will be prepared for the rough and ready world. On the Chat, please share your own advice from your experience in starting seeds with the other Peeps. 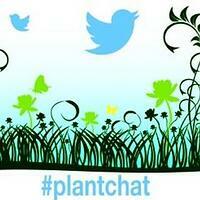 This week there are great prizes in store for tweeters during the #Plantchat hour. Just show up and tweet with us and we'll have random winners throughout the chat. Join @CoronaTools and #Plantchat co-partner, American Horticultural Society Digital Communications Manager, Charlotte Germane @AHS_Gardening, and guest host Margaret Roach @MargaretRoach to share seed starting tips. 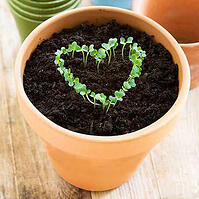 This week's topic is How to Succeed with Seedlings: Margaret Roach’s Seed Starting Tips. 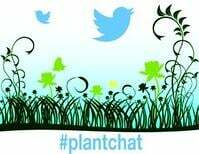 The live chat begins Monday, February 9, 2015 at 11 a.m. PST / 2 p.m. EST, where we come together with green industry experts and fellow horticultural tweeps each week to discuss all things related to plants and horticulture, since 2014. 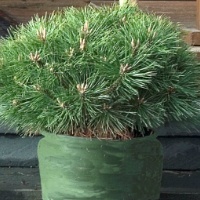 Topics: Corona Tools, #Plantchat, AHS, Margaret Roach's Tips, Success with Seeds!